Whether you or your loved one has Alzheimer's, Dementia, or just needs companionship and personal care, our professionally trained Caregivers will help. The place of care can be your home, an assisted living community, a skilled nursing facility, or any other location. About 12.5 million U.S. military veterans are age 65 and older. Many of these elder veterans need medical care and financial assistance, but are unaware of their eligibility for Department of Veterans Affairs (VA) benefits. Give us a call to see what you may qualify for. 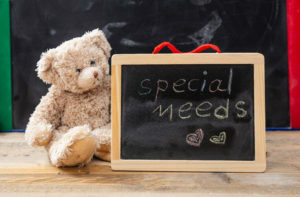 Respite services is planned care to provide temporary relief to families with children and adults with special needs. 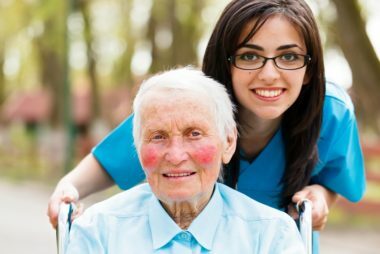 At Nu Care we provide one on one services and will work around your loved one’s school or work schedule. If your child or adult is receiving services through RCOC, this could expedite the process of receiving services. Whether you or your loved one needs to run errands, get to a doctor's appointment, or family event, our professionally trained Caregivers can drive you there. We also have a wheelchair van available. 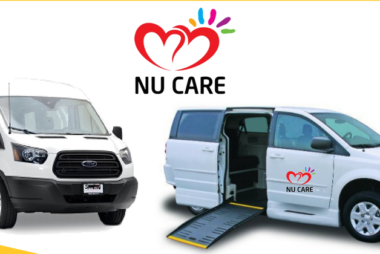 Nu Care is devoted to providing the most committed, highly qualified and carefully selected caregivers in the industry. Our caregivers are OUR employees, thoroughly interviewed, screened and background-checked (state and national), trained and oriented, bonded and insured. We have rigorous hiring practices in which all applicants go through tests and screenings focusing on skills, experience, attitudes and placement into homes. Many of our staff members have extensive experience caring for Alzheimer’s and dementia patients. Most importantly, each and every one of our caregivers must be honest, warm and caring. 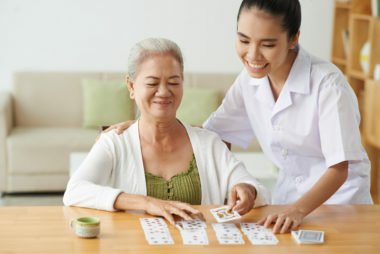 In order to ensure we have the most professional and reliable caregivers, we help them boost their skills to become the best the industry has to offer. Our caregivers have access to our exclusive Certified Companion Aide (CCA®) and Certified Hospice Companion Aide (CHCA®) programs. The CCA® designation elevates their knowledge and status in the industry and instills in them the highest standards of caregiver professionalism. The CHCA® specialized training program was designed by a hospice nurse and educates caregivers on death and dying, how to assist patients and hospice nurses with end of life care and prepares them for the emotional consequences of caring for the terminally ill. So, in addition to their previous experience, our caregivers receive continuous training through this one-of-a-kind curriculum, guaranteeing that Nu Care’s caregivers remain the bar-setting home care professionals in our community.